Hello and welcome to The Rob Burgess Show. I am, of course, your host, Rob Burgess. On this, our 138th episode, our returning guest is Sarah Kendzior. 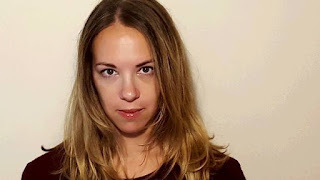 You first heard Sarah Kendzior on Episode 70, Episode 80, Episode 89, Episode 99, Episode 112, and Episode 128. Her book, “The View from Flyover Country: Dispatches from the Forgotten America,” was published April 17, 2018 and is now a New York Times-bestseller. Also, a quick shout out before we start the show to Mercer Suppiger, who created the brand new logo for The Rob Burgess Show. You can see more of his work at www.mtsuppiger.com. thank you so much, Mrs. Kendzior , for all that you do.